Lock in a great price for Asukasou – rated 9 by recent guests! Kaiseki meal was delicious and a wonderful experience. The Asukasou hotel is a traditional Japanese ryokan located close to the shops and Nara park. The hotel also has the onsen (hot springs) in the building and it is a wonderful experience to soak in the hot water in cold days. Excellent dinner, served in the room. Sumptuous Japanese-style breakfast. Great communal indoor and outdoor baths. Right near to Koufukuji temple. Lovely room. Very clean and staff very kind and attentive. The place looks recently refurbished but still maintains a traditional feel The public onsen is absolutely amazing and the open air one has a great view too. Given that we travelled off-season it was always empty, which is an extra benefit Both the baths and the rooms were impeccably clean, with all the possible toiletries included (including facial toner and lotion) Japanese-style rooms have very comfortable futon beds (we stayed at a few ryokans so have something to compare it to...) The staff is extremely attentive and polite with some knowledge of English We only had breakfast included and this was great quality as well Given that Nara is usually a day trip destination, this property is amazing value for what it offers and you are likely to pay twice the price for comparable ryokans in Hakone and other resort towns. Cannot recommend this place enough! Staff were very friendly although had little English. Right beside Nara park. The girl who served our kaiseki dinner in our room was lovely and that was a great experience for us and sleeping in Japanese futon beds. Breakfast was a great feast which kept us going all day. We booked the private onsen (2 teenagers not willing to use communal onsens!). The onsen itself was lovely. Cost about 3200¥ for 40mins. the onlyroom was spacious and clean, much better than in pictures, best stay of the Kansai Trip will definately recommend and come again! The facilities were great, the outdoor onsen was clean and not busy at all. Both the breakfast and dinner were excellent. Overall, the whole stay gave us a very nice taste of the wonderful Japanese culture! Asukasou This rating is a reflection of how the property compares to the industry standard when it comes to price, facilities and services available. It's based on a self-evaluation by the property. Use this rating to help choose your stay! Guests can choose a room with Western beds or a room with Japanese futons. All rooms are air-conditioned and feature pleasant woodwork. Fresh green tea and cable TV are on offer. The hotel is about a 10-minute walk from Kintetsu Nara Train Station and 0.9 mi from JR Nara Train Station. Todai-ji Temple is a 20-minute walk. Bicycles can be rented. 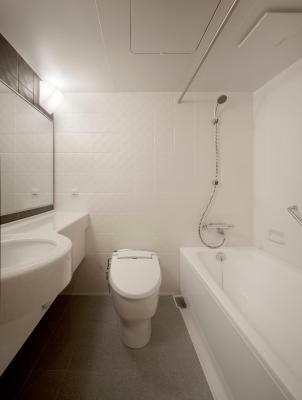 A reservable family bath is available for a fee, and guests can enjoy singing karaoke. Free Wi-Fi is provided in the lobby. A Japanese multi-course (kaiseki) dinner is served at Kachomon Restaurant, or in the Japanese-style guest rooms. Guests in the Western-style rooms can choose to upgrade their dinner to include tempra and charcoal grill dishes at an extra charge. The hotel has a coffee lounge on the first floor. 뀐 Located in the top-rated area in Nara, this property has an excellent location score of 9.1! When would you like to stay at Asukasou? Features tatami (woven-straw) flooring and Western beds. Dinner is served at the restaurant's dining room. This room does not have a view. Guests in the Western-style rooms can choose to upgrade their dinner to include tempra and charcoal grill dishes at an extra charge. This room cannot accommodate an extra bed and children cannot be accommodated in this room. Fitted with a Western bed, this room is air-conditioned and feature pleasant woodwork. Fresh green tea and cable TV are on offer. This room does not have a view. Fitted with Japanese futon beds and tatami (woven-straw) flooring, this room is air-conditioned and feature pleasant woodwork. Fresh green tea and cable TV are on offer. Dinner is served in the room. Please note that this room may not have a scenic view. This triple room features a electric kettle and air conditioning. Please note that this room may not have a scenic view. House Rules Asukasou takes special requests – add in the next step! Asukasou accepts these cards and reserves the right to temporarily hold an amount prior to arrival. Breakfast is Japanese-style. Can be changed to Western-style if requested 1 day in advance. Breakfast is served at 07:30, 08:00, or 08:30. Guests choose a time slot. Dinner is served at 18:00, 18:30, 19:00, or 19:30. Guests choose a time slot. Guests without dinner included in the price must make a reservation to eat dinner at the hotel's restaurant. Children cannot stay in the Twin Room. The position of the futon was in the lightest part of the room. The room was not dark enough and the light woke us up early. It is very dated and bathroom for instance needs updating. Also lounge area in the room not great. My main issue though was near the end of our Onsen my 11 year old daughter was too hot so walked over to where we had opened the shutter doors to let air in, it was dark so did not see the huge hole which houses the pumps and pipes etc for the onsen. She fell backwards and her leg got stuck briefly. We were all very upset understandably but lucky it was not more serious than bad bruising and swollen ankle. We went down to reception and very friendly receptionist gave us ice but did not seem overly concerned that this was a very serious and dangerous issue. Not sure if that was a language barrier? On checking out the next morning another receptionist did ask if my daughter's foot was OK but nothing more. Very disappointing end to what was suppose to be the true Japanese inn experience. The room is too small. Not comfortable. I was not informed that I had to book dinner in advance. So there was no dinner available. The stay felt a bit short if you want to go for the meals, onsen and visit attraction or roam around Nara. It would have been great if check in time could be a bit earlier and/or check out time to be a bit later. However, they do offer luggage hold if needed before/after checking out. Fantastic Ryokan. Close to main attractions of Nara. The Room and the private bath has a great view of the Pagoda. The traditional japonese dinner and breakfast are very good. It's a real experience.